Well, if you haven't figured it out yet this site is for the use of role-players of the Star Wars RPG D6 system produced by WEG and Wizards of the Coasts D20 system. It's also my little place on the web. I've chose to share my RPG experience (I've been playing Star Wars RPG since 1988) with the Star Wars RPG community. What I have here is not going to be to everyone's liking. Some people don't like cross-overs, some people prefer to make up their own stats. I'm not a mind reader, I'm just presenting the Star Wars RPG as the Warriors of Gar play it. Who are the Warriors of Gar? Well we're not some big RPG group, if such groups exist. We're just a few mates who enjoy having a laugh, a good pint (mine's a cider) and Science Fiction in all it's media. Books, comics, movies, collecting and RPG's. 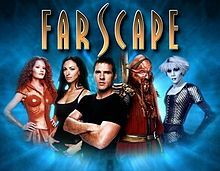 Across the group you'll find fans of Star Wars, Doctor Who, Lexx, Farscape, Stargate SG-1, Xena, Red Dwarf and plenty more Sci-Fi & Fantasy. The RPG's we play are Star Wars (99% of the time), Warhammer Fantasy Role-Play and occasionally Shadowrun. We have recently started to take an interest in Star Wars D20 along with Dungeons and Dragons and Doctor Who: Adventures in Time and Space. So who are Club Squirrel? I also play in another group known as the Club Squirrel. Club Squirrel play RPGs including Star Wars, Judge Dredd, D&D and D20 Modern to name but a few. Guinness or Rum and Coke is the favoured tipple, but I'm driving so I'm stuck to the diet coke? And if you dare there's the real hard stuff, the Cherry Tango!!! You may, okay will, come across pictures on this site of well known characters, from Star Wars or other Sci-Fi (and Wrestling Entertainment), that are attached to the write-up of a different character. Finding a picture to represent our characters is part of the enjoyment of our game. These pictures are supposed to be a rough visual representation of our characters only. Where possible I have included original artwork. So where one player uses a picture of Anakin to represent his Jedi Era Jedi Knight Guinan in game, I have included a picture of Anakin to represent his character here in the Sithspawn's Lair. What I present here is the Star Wars RPG as we play it, nothing more. I'm not trying to infringe on anyone's copyrights. As time goes on I hope to eventually post original artwork for as many characters as possible, NPC's included. Is this site affiliated with starwars.com, LFL, WEG or Wizards of the Coast? No. This is a totally independent website. It's just a bit of fun to tell the world how much fun Star Wars RPG can be and the experiences of our group. How do I contact the webmaster/site owner?